44. Eva Marie Is The Poster Girl For Fastlane? 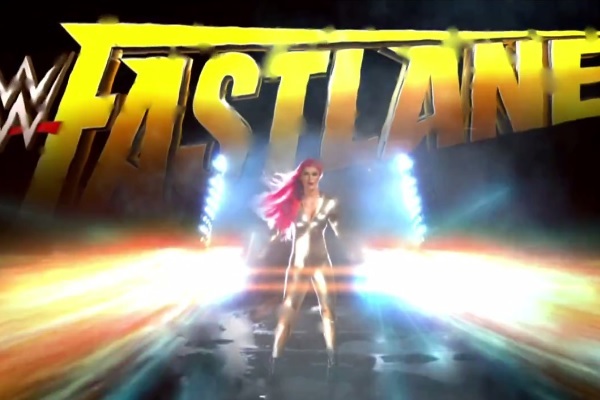 During the pre-show tag match (which would see the winning team earn two spots in the Royal Rumble itself), we cut to a commercial for various shows coming to the WWE Network, ending with a glimpse at next month's pay-per-view event, Fastlane. That's all well and good, right? Except that the brief clip featured widely-maligned NXT "talent" Eva Marie appearing as the show's poster girl, featured in a glossy graphic where she throws down two flags. Was there really nobody else who would've been better suited for this gig? Really?